Let’s imagine you need want to buy something. It doesn’t matter what it is – it can be anything from an armchair to a zip. Where would you look first? Would you go to the local shopping centre? Or would you first go to the Internet? If you said “the web”, you are not alone. 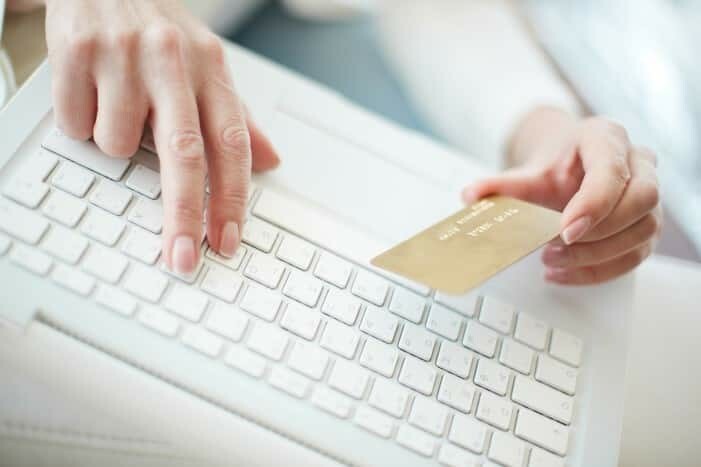 New research shows that 73% of people begin their purchasing journey online, with most of that being on a desktop or laptop computer; mobile only accounts for 2% of purchase journeys. Some people vary where they start their decision-making to buy something, sometimes online, sometimes in a shop, depending on the kind of item being bought. Only 18% of people always start their path to purchase in a brick and mortar shop. Interestingly, the study showed some age differences. The over 65s, for instance, were the heaviest users of smartphones and even though they were more likely to start their path to purchase in a physical shop, 71% of them started online. Those aged 25-44 were much more likely than other age groups to start shopping online – some 80% of them did so. However, the age differences are minor. It now seems that three-quarters of people across all ages start their shopping online. This means that if you sell something that is only available in a physical store, or is intangible such as a service, then you are missing out on potential sales if you do not “sell” online. People are clearly looking for the type of products and services you sell, but if you don’t make information available online, you are losing out on a potential 75% of extra sales you could get. This is not surprising. Another study has found that 80% of B2B firms are neglecting digital marketing. It appears that throughout business, people are rather assuming that all you need is a “standard” website and that custom will magically arise from that. Both of these research studies show that businesses need to focus much more on customer pathways and consider how people actually get to buy a product or service. Where do they go first, what do they do next? Once you know the pathways to purchase that people take, you can then set about appropriate marketing. If you run a physical shop, for instance, you really need to use the web to get people to buy the items in your store. Similarly, if you run a service business offering support to other businesses you also need to use digital marketing as the web is the first place potential customers look. Even nowadays – almost 25 years since the first website was published – only around half of British businesses currently have a website, let alone other forms of online marketing. It all adds up to the fact that many businesses are not using the Internet at all well. Indeed, the vast majority appear to be ignoring the reality, that the majority of purchases are now made as a result of digital activity by the purchaser. Those businesses who are failing to get digital right, are likely to fail as businesses. The trend towards more and more importance for the Internet (even for physical store sales) is likely to grow even more. Are you using that trend, or still roughly the same as you were when you started online a decade or more ago. Things have changed since then…a lot…!